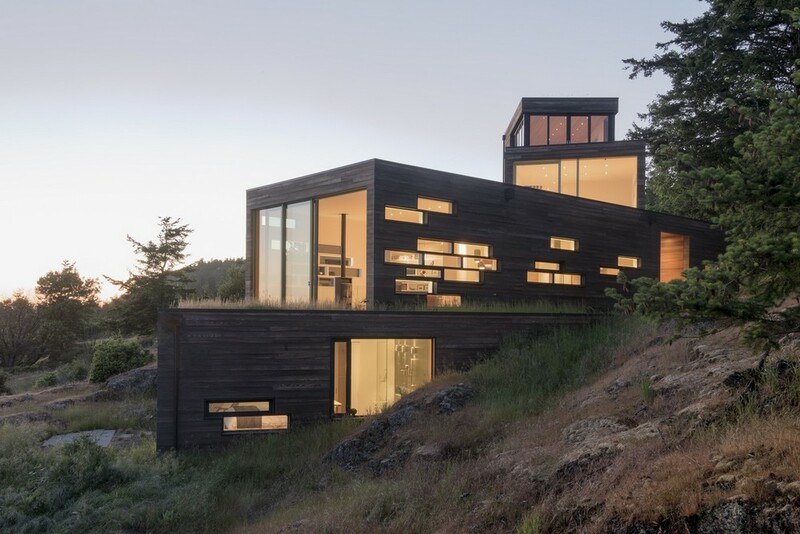 Anchored to a rocky slope and looking out over expansive water views, this house is the expression of the clients’ desire to connect to both the immediate landscape and the view beyond. Cascading organically down the hill, the house remains firmly rooted to the earth even as it rises high above the ground. Bailer Hill made an impression in the last few months, making this year’s AIA Seattle Home of Distinction list and slated to be published this summer in Seattle magazine. The house is in the spotlight in Dwell’s January/February issue, as well as covered in a recent Houzz Tour installment. Luxe covered the Washington Park project, a transitional modern house on a steeply sloped lot, in the Pacific Northwest March/April 2018 issue. At the end of 2017, we made a few “best of” lists for the year; The Coyle is on Dwell’s Top 20 Homes of 2017, and Lot 6 is in the Top 10 Cabins of 2017. 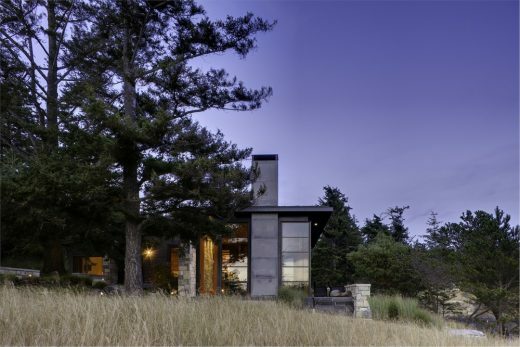 We’re also on the Luxe Gold List, published in their recent special issue; Renoviso’s top Houzz pages; and a number of “best tiny homes” for Eagle Point, like this article from Coastal Living. Copper Harbor is framed and wrapped, getting a dusting of snow this winter. The Landing is also getting closer to finishing, and we caught a rainbow arching over the view during one of our site visits this year. Over in the Methow, Little Star continues to make great progress, on track to be completed this summer. We have a number of projects that have just started here in the office. It’s always a joy to watch as a design starts to take shape from the first few ideas, and we are all excited to keep our momentum going through 2018. Glen Lake Tower House in Michigan won an AIA Design Award. 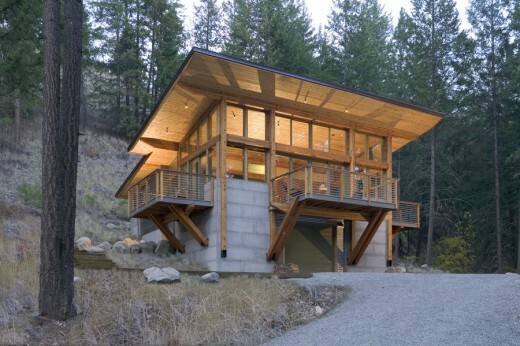 The Creekside Residence in Missoula was published in Mountain Living. 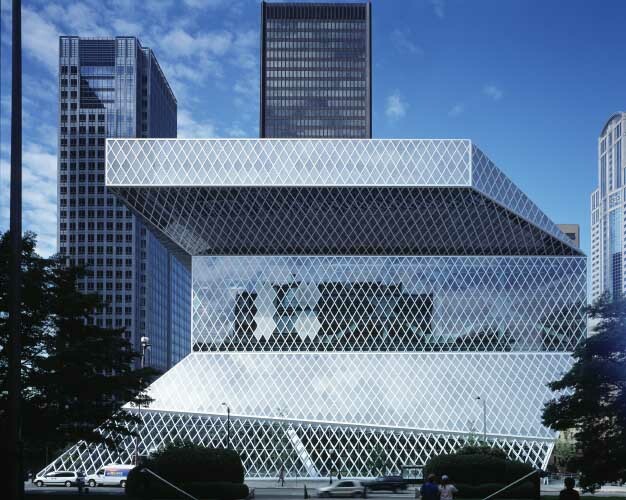 This pair of American architecture practices has annoucned their merger. Working together they offer a richer and broader practice, continuing the highly personalized experience that both their prior firms have come to be known for. They are proud of our expanded knowledge base and network, and ultimately, they believe PBW Architects will enable them to bring new insights and better solutions to their clients and the world of design. Wintergreen Cabin is a 1,600 square foot building built into a steep hillside overlooking a stream with a view to the mountains in the distance. The cabin is anchored into the hill with a concrete base that contains the garage and other utility spaces. The upper floor houses all of the living areas. This 3000 sq. ft. single family residence is located on a +/-2.5 acre Urban Western Washington site which includes a class (3) salmon stream running through the property. 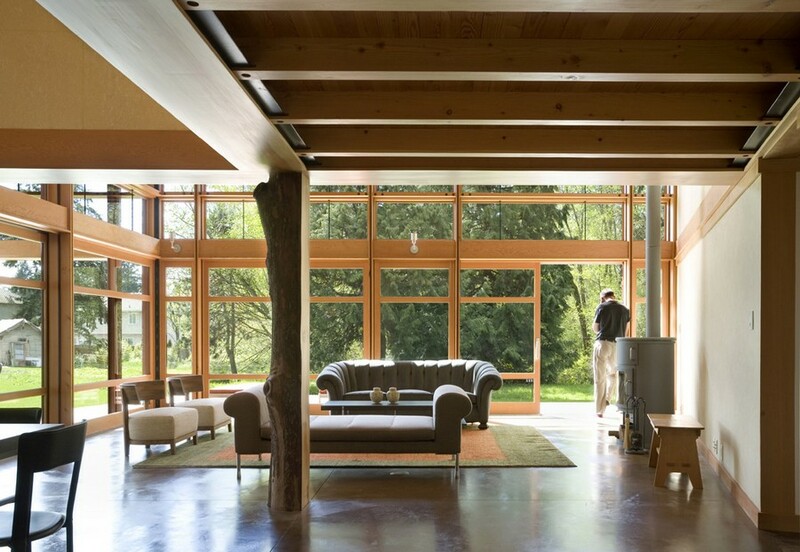 Prentiss Balance Wickline Architects – architects office based in Seattle, Washington, USA. June 4, 2018 in Architects.